Hi, my name is Jonathan Pepper and I'm a Range Safety Marshall at DIO. For the last four years I’ve been working as a volunteer for the MOD Raptor and Owl Nest Box Project. 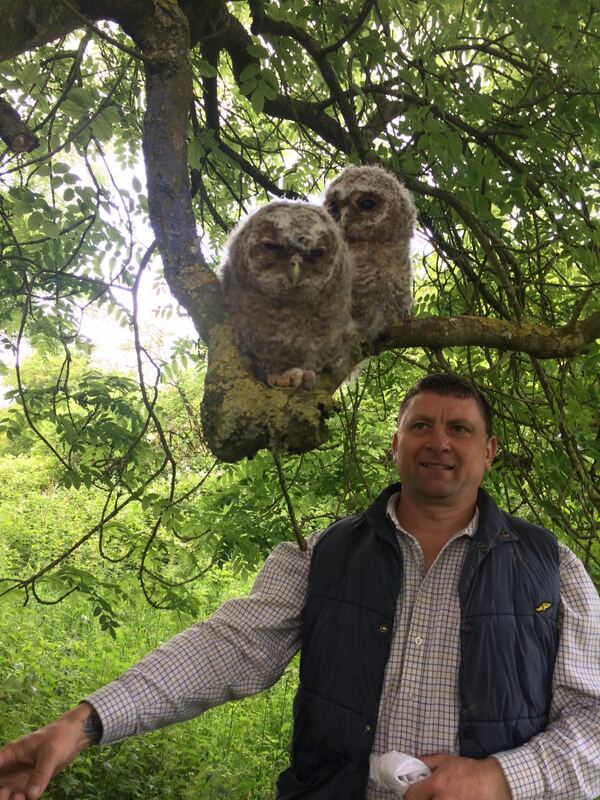 As part of Volunteers’ Week I’d like to tell you about what I do in my spare time to protect our owls on the land and property owned by MOD on Salisbury Plain. 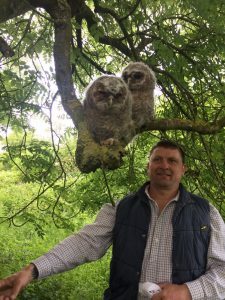 The project was started in 1983 by Maj (Retd) Nigel Lewis to conserve owls and raptors on the west and centre of the Salisbury Plain Training Area, where the habitat is ideal but it lacked suitable nesting sites. 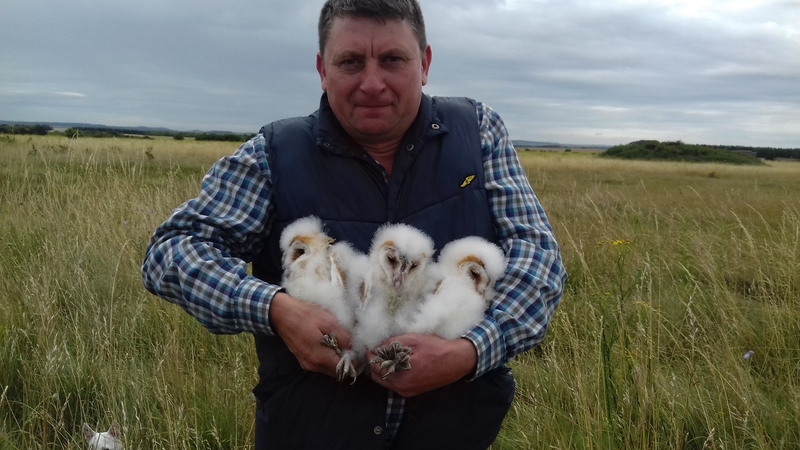 To resolve this, a team of volunteers started building nesting boxes which has helped to increase the population of barn owls throughout the area. We now have around 400 nest boxes over Salisbury Plain. Last year, our volunteers ringed 95 kestrels, 25 tawny owls and 148 barn owls. It was also the best year for the project as we saw a significant number of barn owls nesting in the area. Every Saturday, I go out with a small friendly team of volunteers on Salisbury Plain. I monitor a range of owls including the barn owl, little owl, tawny owl and kestrel population. 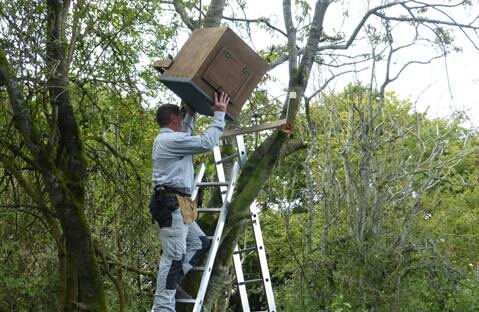 I also check, clean and monitor which owls use the boxes and adapt and repair them to ensure they protect the owls. As a volunteer, I get to see a vast range of wonderful wildlife including a fantastic array of butterflies, deers and our rare stone curlews. I also get to meet lots of new people, enjoy the scenery of the largest chalk grassland in Europe and get a bit of exercise in! It's also helped me develop my personal skills and become an expert in building raptor and owl boxes. Our volunteers are both former military personnel and civilians and they support with a range of activities to help preserve, protect and record the many different types of wildlife that exist on Salisbury Plain. They also provide ecologists and archaeologists at DIO with the essential data they need to help manage wildlife on our military training areas. Without them, the owl population would have declined. DIO has been closely involved with this project and this is an excellent example of conservation working alongside military needs. 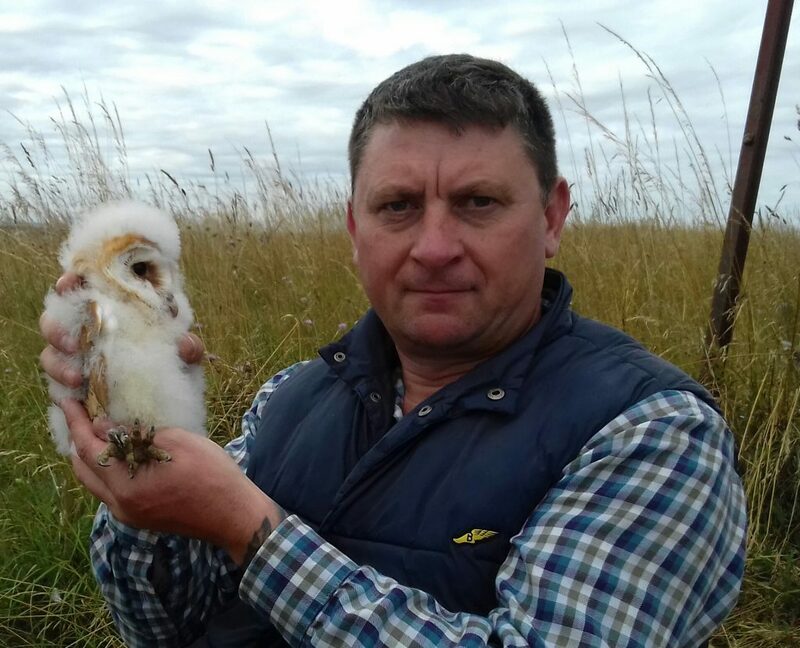 The long-term monitoring of owls and raptors is an important project that contributes to DIO’s conservation efforts on Salisbury Plain. The data collected is also sent to DIO and the British Trust for Ornithology and is used for national statistics on bird populations. Good to hear that this great work is progressing well.